Daniel Goulding has called for a major overhaul of all aspects of Cork football – including a restructuring of the county championship – in a bid to halt the Rebel County’s “worrying” decline. The 2010 All-Ireland winner noted a lack of “resolve” shown in the calamitous back-to-back defeats to Kerry and Tyrone that ended Cork’s summer, and fears that they may not have reached rock bottom yet. “If something isn’t done about it, it could get worse,” warned the 32-year-old, who ended a 10-year inter-county career after the 2016 season. “It just needs a collective focus from the county board and the management of all the senior, U-21 and minor teams, Cork clubs, supporters, everyone. There needs to be a realisation that things need to improve fast. Among those “small things” that Goulding highlights as contributing to the slump is a lopsided county championship that leaves players unprepared for top-level action. 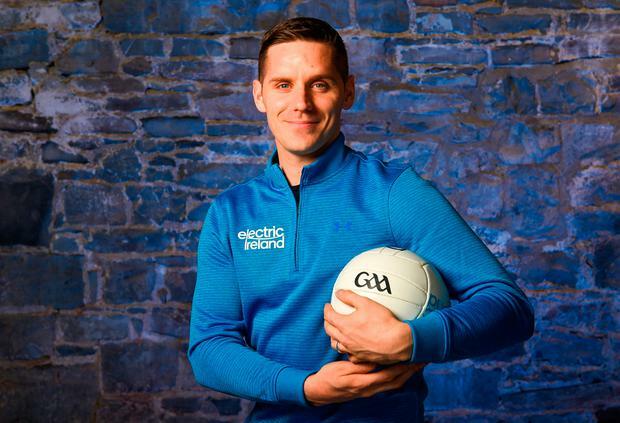 “I’m still involved with the club, and there is a lot of talent in the county but I don’t think it’s being best maximised – our club championships aren’t competitive enough,” said the éire Óg man, an All-Star in 2009. “In our senior championship there are four or five teams that you know are going to be at the business end every year. And then there are a lot of dead-rubber games. There’s 18 or 19 teams in the Cork SFC, but only eight in the top division of the league – you have some senior teams playing in Division 4 and 5. “I’d like to see an overhaul there, having competitive games. That way you can improve. Other factors that Goulding – top scorer with nine points in the 2010 final defeat of Down – identifies are: a failure to replace the 2010 team, and a consequent “leadership” void; a surfeit of “change” around the panel in terms of background staff as well as playing personnel; a lack of identity in the team; and a general ambivalence about football at board level and among the public in what remains “predominantly a hurling county”. “It’s very hard for the senior football team to be progressing if the county board are just doing business as usual – it needs more than business as usual now,” he stressed. “When Cork hurling was in a bad place a couple of years ago there was a huge uproar over what needed to be done, but I don’t see the same level of interest or concern in sorting out the football. “From county board level to all the management teams involved at county level to the clubs, it needs an overhaul. “Cork need to get an identity from minor, U-21, senior, what they’re about, how they want to play. “You look at the top teams, you know what they’re about. Dublin are an attacking team, they press high but still know what they’re about defensively. Galway are a defensive team but they break very fast. “But it’s hard to say what Cork are at the moment. Our team in 2010 were a powerful running team, we used to get ridiculed because we didn’t kick the ball but we knew what we were about. Goulding, who is hoping to complete his PhD in engineering ahead of the birth of his child in September, does see some cause for optimism about Cork football, having witnessed the turnaround in fortunes of the Rebel hurlers, and of the Donegal side his team eviscerated by 14 points in the 2009 All-Ireland quarter-finals. “The county board and Jim McGuinness came in and they turned it around in a matter of years,” he said. He also believes that manager Ronan McCarthy is the right man to oversee the necessary changes.